A new stage version of the acclaimed poems that imagine the wives’ perspective of famous men through the ages. From Mrs Faust and Frau Freud to Queen Kong and Mrs Midas, this show slices through history and myth, and casts an astute glance over the modern world. Laced with dark humour and acerbic wit, this show will enthral lovers of Duffy’s poems and newcomers alike. 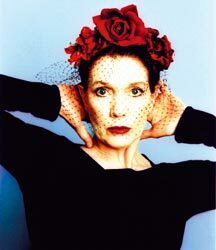 Linda Marlowe has enjoyed great acclaim for her previous solo work including Berkoff’s Women. In this new show, her virtuoso performance of Duffy’s brilliant and often controversial verse is interspersed with commentary about the poems. and Jessica Lauren: organ, harmonicas, melodica and autoharp. 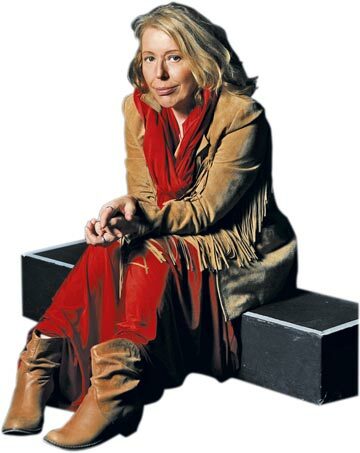 Following a stunning performance at the Picture House for the Festival programme launch in May 2008, Barb Jungr was immediately invited to participate in this year’s main event. An award winning British singer and performer, Jungr is renowned for her assured, intelligent arrangements, passionate delivery and unique vocal style. She has produced a hugely acclaimed body of work, interpreting the songs of Brel and Dylan and the repertoires of Nina Simone and Elvis Presley. In this very personal collection she sings songs by Cohen, Springsteen, Bragg, Dylan, Previn and Brel on the themes of war and peace. Jungr’s work on Bob Dylan’s songs and Nina Simone’s repertoire has been showered with four star reviews. She won a 2008 New York Nightlife Award and a 2003 Backstage Award for best singer and best international act. Fans of psychedelic folk are in for a treat with The Steals’ new album, Dark Folk From A Light Place, as singer Jayn Hanna rekindles a long-standing musical union with guitarist Mark Peters of Engineers notoriety. Unpretentious, humble and unfettered by ego, they are passionately driven to create mysterious, soul-cleansing, heart-breaking, life-affirming music. Don’t miss this intimate one-off for the Festival.